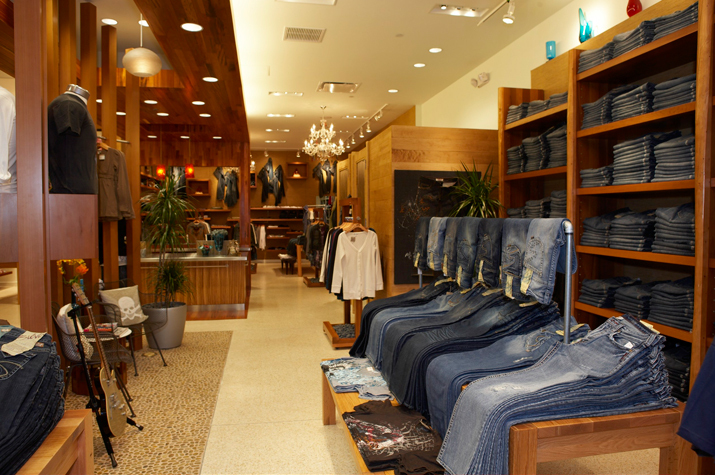 The Client: Since 1991, this family-owned, Canadian denim brand has gained popularity and increased market share for its mid-luxury, perfect-fit, creatively designed jeans. 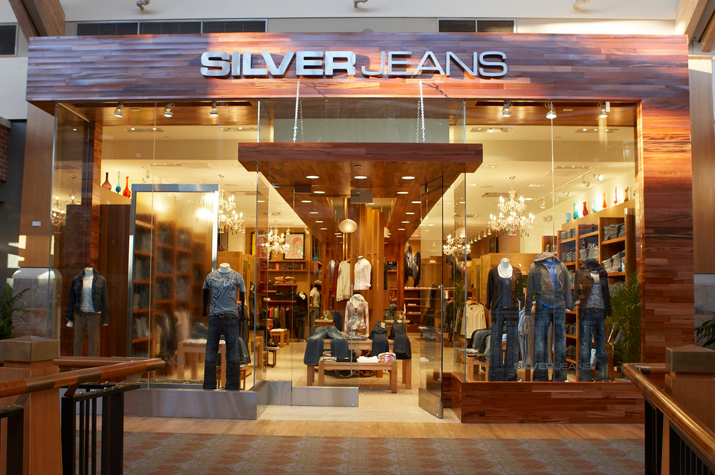 With its timeless focus on the trifecta of fit, fabric, and finish, Silver Jeans expanded its loyal customer base to reach five continents. 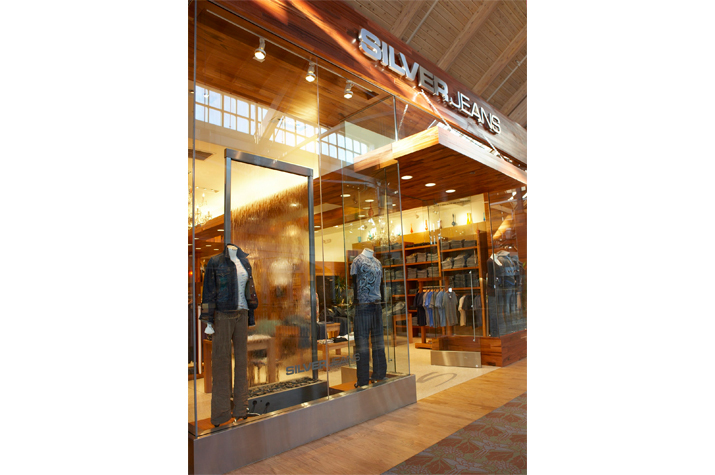 Silver Jeans contacted the Zamparelli Architectural Group to design and develop a store prototype for the U.S. market. 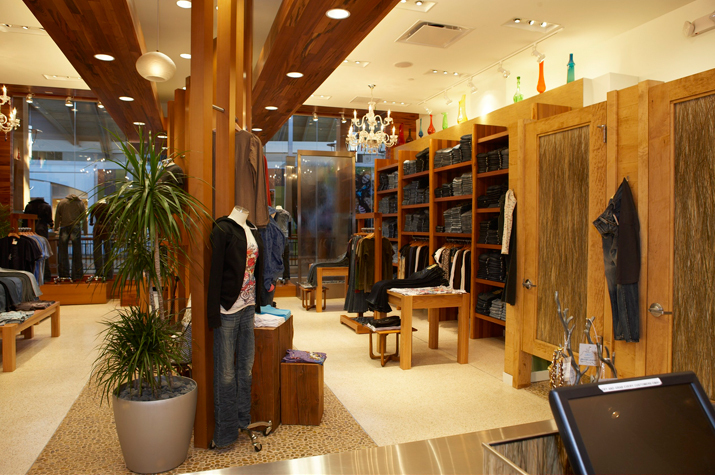 The Project: With keen awareness of the Silver Jean objective, ZAG developed a prototype reflecting the concept and theme of ‘modern organic.’ Using selected organic materials, earthy textures, natural colors, peaceful sounds, and serene lighting, ZAG created a sensory oasis that nurtures the shopping experience. 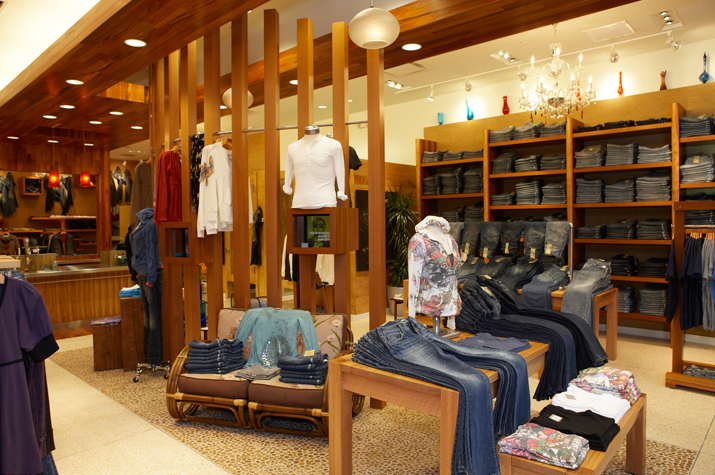 The prototype roll-out included branding, interior design, lighting design, fixture design, and visual merchandising. 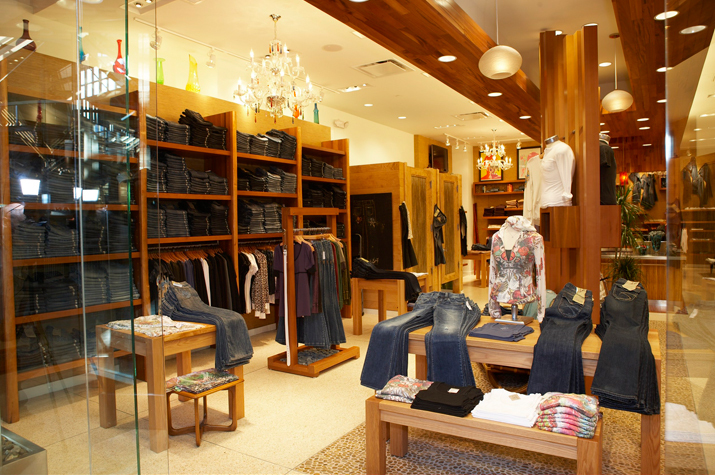 ZAG handled all contract administration, developed construction documents, expedited building department approvals, and coordinated construction.